With the increasing competition in the digital market, business owners need to be sure they are doing everything they can to get a step above or a prominent edge over the competitors. In the high tech world we live in, no business can possibly compete without having some sort of online footprint. The internet provides a major platform for companies to spread the word about their business in many ways. It is a business card for the business, online, and is available even when the business owner or employees sleep. It provides businesses a way to educate and attract customers and thus generate leads. So it is essential that the website is working well, that it is mobile and that it provides the consumer, the reader, with the best possible experience. Sometimes, some of these issues we may not realize, but since the search engines, such as Google, is crawling our website, they have all this data, it just relies on us to seek it out. Use free tools to help your website visibility and functionality like Google Search Console. Reminder that you have the ability to tap into your analytics on your website via many tools, some paid, many free. Google Analytics is such a tool that gives you a look at your website traffic, where they came from, what they like most and etc. I wrote about this recently, so take a look at that more in ‘Get Google Analytics on Your Website‘. I have written several other blogs on it as well, so feel free to seek those out or look for a few linked in this blog. So why am I mentioning Google Analytics in a blog about Google Search Console? Well, once you have your Google Analytics set up, it is easy to link your Google Analytics to your Google Webmaster Tools. Now, Yoast also has a way to link your Search Console as well, and that is good to use, but if you want to make any changes or do anything, you need to upgrade, so it is important to link them directly in Google Analytics. I cover that process in a video in ‘This is Why We Blog‘ so feel free to check it out. It is a free service provided by Google (and why wouldn’t we want to keep Google happy?) that helps you to observe and analyze your website’s performance in the search results of Google. It can be used by site administrators, web developers, and online marketers to analyze the performance of the digital market campaigns they are conducting. It can provide info about search appearance, search traffic, Google index, crawl info and thus can advise on critical crawl errors, submit your sitemap, see how many urls have been submitted and/or indexed, give you some analytics on your search traffic, rich cards and more. However, just like with Google Analytics, it can get overwhelming quickly so take a look at a few of the highlights and benefits. Since an internet user has a plenty of options at their disposal for getting required information, they will immediately move to the next option if they encounter any problem on your website that could lead to frustration. One of the most commonly known frustrating experiences for a website visitor is the 404 error. The error is caused by a broken link. You can save the visitors of your website from this frustrating experience by using the Google Search Console to determine which pages are broken. The easiest fix is to redirect folks using tools like the 301 Redirect plugin. For example… you changed the name of a blog or page and also changed the url. Well, this previously named page might have been cached and it already out in the internet (reminder, once it’s out there, it’s out there). So, when consumers find that old link they will land on your 404 page saying that the old page doesn’t exist. 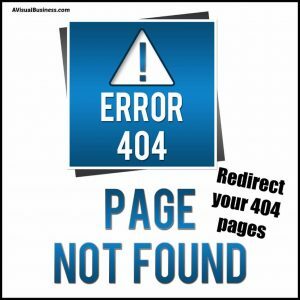 If you apply a 301 redirect, it will redirect anyone who lands on that old page and redirect them to the revised link that you select within that tool or plugin. 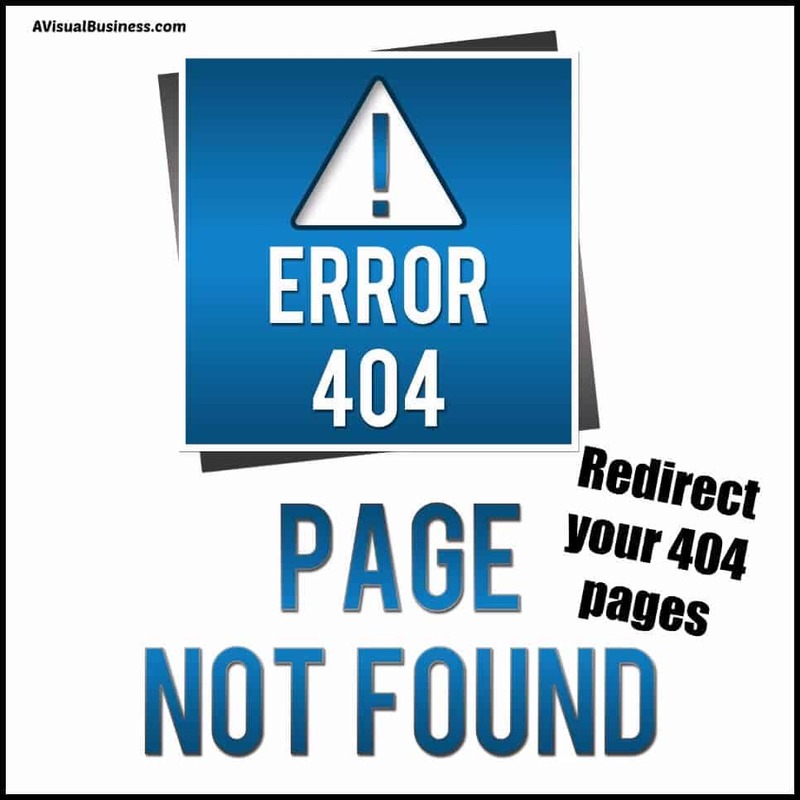 Don’t lose your visitors by not redirecting old links that are 404 Errors – redirect them. Your sitemap is basically a list of all of the pages on your website. The more organized your website is, the more pages that are in the navigation, the easier for the search engine spiders to find all of your pages. The Sitemap helps the spiders crawl all of your pages. Yoast has an XML Sitemap tool built in and it can be viewed by going to your Dashboard, then SEO and then XML Sitemaps. You can change what type of things are listed in your Sitemap and which you want to remove from the Sitemap and not have the search engines crawl. Your Sitemap is usually found and seen as… yourdomain/sitemap_index.xml. 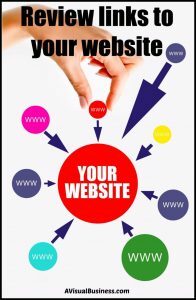 Should you have a website other than WordPress, there may be a functionality for your Sitemap or you may have to create one. I have done so in the past using this Sitemap Creator, and it is free as well. Google Search Console is deemed to be a great source for getting information on the keywords being using by the customers that are directed to your website. It may not be able to tell you about the exact pages for the particular keywords but can still prove to be a viable source for getting relevant information about the keywords to boost your ranking. Under Search Traffic, you can see the keyword queries (the keyword phrases that the consumer uses that the search engines show your website for) that get clicks to your website or impressions for your website and even your Google ranking position. If you recall that backlinks are links that drive traffic back to your website. Here you can see under Search Traffic and Links to Your Site which other sources/websites are the biggest traffic drivers to your website, how they are linked and the content that is linked (which pages they drive traffic to). Internal links are just as important and under Search Traffic and Internal Links can show how many internal links you have for various pages. 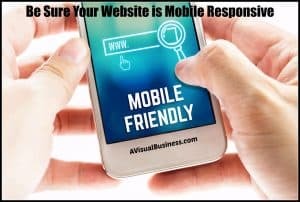 With the rising trend of smartphone owners opting for their handheld devices to surf the internet in place of their laptops or PCs, Google announced that it would consider the mobile-friendliness of a website for its ranking procedure. Therefore, if you want to stay on top of your game, you need to make your website is easily accessible for smartphone and other handheld device users. I am always preaching – make it easy for the consumer and make your website pretty. Google Search Console can help you to achieve this. It has a mobile usability module which you can use to see if your website is perfect to be used on mobile devices or not. You can view Mobile Usability under Search Traffic and then also check out the Web Tools for more tools that can aid in your website experience. For example, if you have ads on your website, you may want to check out the Ad Experience Report. A Page Speed tool can be found under Other Resources or go directly to the Page Speed Insights. The list of the benefits of Google Search Console does not end here. It can help you to directly communicate with Google, improve your performance in search results, and verify the structured data on your website. Hence, if you want to position yourself better with the Google search engines, or any for that matter, check out your data, your analytics and your site presence by utilizing free tools such as Google Search Console. If you have any questions about your Search Console with regard to setting it up for your website, or any of the above, I would love to have a consultation with you to go over the benefits and specifics for your website and needs. So, in the comments below… have you set up your Google Analytics, Google Search Console and/or have you ever looked at either? Do you find them to be beneficial? Kristen this is so helpful. I don’t have Google Analytics set up yet, but it is on the top of my list. You are such an expert in this area. I imagine your clients feel secure in having you help with the marketing! You definitely want to get it on your website Candess… it’s super helpful. Lots of great info in this post again, Kristen! I do have Google Analytics set up on my site, but I don’t have Google Search Console. At least I don’t think I do. I also have Yoast, so get some of the benefits you mentioned from it. It sounds like I should ask my web person to make sure Google Search Console is up and ready on my website. As usual, Kristen, you offer so much useful information. I do have Google Analytics set up but am unsure about Google Search Console. Clearly, I am not taking the full advantage of these tools, but, as always, you inspire me to investigate further. I’m glad that I have inspired you to investigate more Tami! Thanks! Google Analytics and its different aspects confuse and mesmerize many people, yet you’ve done a nice job of simplifying the topic. Great tip about Yoast and XML site map–I’ve run into a few pages that I should have hidden, so I’ll be checking that out. Google’s tool names always befuddle me; I’m assuming the analytics dashboard I’m looking at is Search Console. 😉 The component I haven’t used is tracking and conversion, which is still a bit of a mystery to me. Great job on helping us understand what we should be doing and why. This is great. It is so lucky for us, your fans, to have a guide to this aspect of the online world! I have a dumb question. My hubby set up my GA etc for me. How do I know if he set up the search console? I know he set up a handful of things related to GA, but I want to make sure I’ve got it all. I know that I see the webmaster tools when I go into GA, but will it look different / say something else if I have search console enabled? Easiest way to check Jennifer… go to your Google Analytics, then to Admin, then to Property, All Products under Product Linking, it will show a list of linked Products. I have Search Console Linked. If not, this is where you would do it. All great tips Kristen. SEO is so important and it’s one of those things that just take so much effort. Thanks! Yep.. so easy to do Cathy! Thank you! Kristen, thanks for reminding me I’m not taking advantage of everything Google Search Console has to offer – especially the 404 redirects. As always very comprehensive. You are welcome Joyce and redirects are easy to do. I must admit that I have not been using my google console to its maximum capacity. My site map is still pending and I keep procrastinating its set up. This comes as a reminder to me Kristen, and I am doing it right away. Thank you for the useful information about Yoast and XML site map. There are so many pages I have that I wish they were hidden. I need to work on them too. But looks like you are going to get on it Apolline! YAY! Great information, Kristen, as always! There’s so much to keep track of with Google – so glad to have you keeping us on our toes! There is so much, indeed. Thanks Mindy! Glad to help a fellow optimization biz! Thank you! Truly amazing post. I will forward it those who really need inspiration. The post is old but I have got a lot of new things that before are not in my mind. Thanks for sharing your amazing skills.